Make your garden the ultimate place to both work and relax in with our range of outdoor living products and accessories. We have a superb range of top quality garden furniture available during the spring and summer months, plus a limited range available throughout the rest of the year. The range includes dining sets, corner seating, arbours, benches, cafe sets, rockers and more. We have an lovely range of outdoor dining sets from small 2-seat cafe sets, to 6-seat full dining tables with premium chairs and parasols. 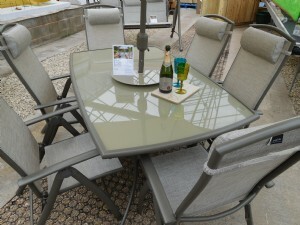 Perfect solutions for outdoor dining spaces. 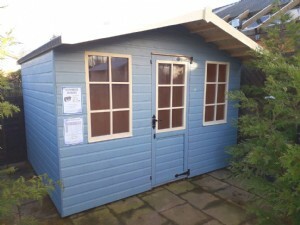 We supply a range of locally built garden buildings, including sheds, summerhouses, playhouses, logstores and more. All buildings are made from quality materials and include all hardware fittings. Local delivery is free (delivery farther afield will be costed for you). Additional options are available such as wood treatment, painting and installation. Soft lighting really gives your garden the finishing touch. We stock a great range of solar powered lights that are inexpensive, lightweight, easily movable around the garden without cables. We have string lights, stake lights and decorative lighting such as flowers, animals, birds and the Eureka range of light bulbs. 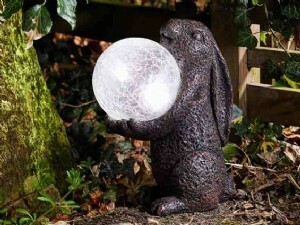 We also stock non-lit decorations for your garden, including a whole menagerie of colourful and fun creatures and beautiful flower stakes. 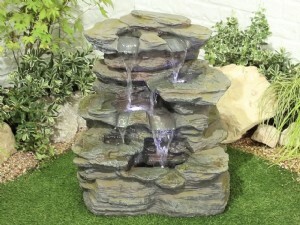 We stock a selection of electric-powered outlook water features in different styles and sizes. The styles include slate-effect, cascading pots and log-effect. We also have indoor water features in our Miniature Fairy range. We stock obelisks, arches and arbours to add a new dimension to any garden. 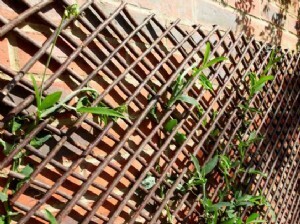 Ideal for creating some garden privacy, we stock a range of screening materials such as bamboo, brushwood or reed. Plant supports and trellis give your garden more structure. A British summer isn't always what we would wish for! 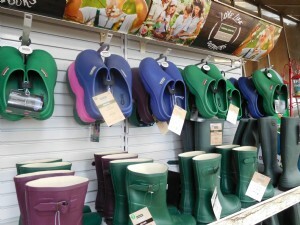 We have Wellington boots, Highland boots and clogs for the avid and weather-resistant gardener. Our garden footwear is available in a range of sizes for adults and children at affordable prices. We have an extensive range of gardening gloves for adults and children suitable for every job. We also have gauntlets, kneeling pads, tool belts and gift sets. Kelkay is the market leader when it comes to aggregates with a clear point of sale and packaging. This makes it simple and easy for you to make the right choice for your weekend project. 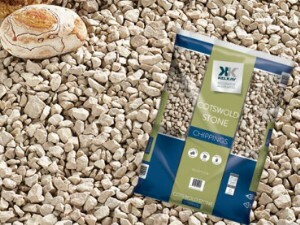 We offer several different types of chippings including blue slate and Cotswold stone.